Metal 3D printing can be a tricky business. With potential issues including thermal distortion, residual stresses, cracking and warping, the printing process for metals is often difficult to predict, much less control. This is where simulation software comes in. Simulation software can be used to design and simulate metal parts and processes, with the aim of minimising print failures at the design stage, before a part is sent to print. 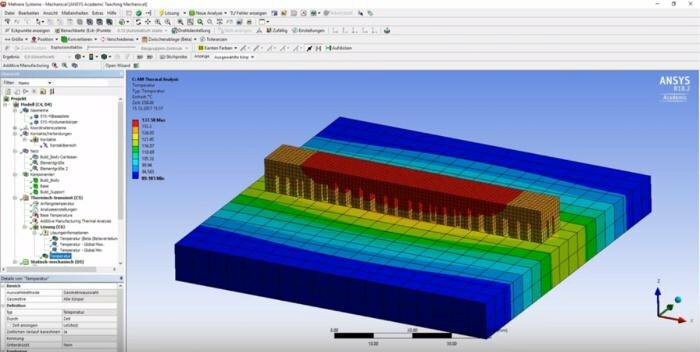 One company looking to spearhead the metal simulation software market is ANSYS. 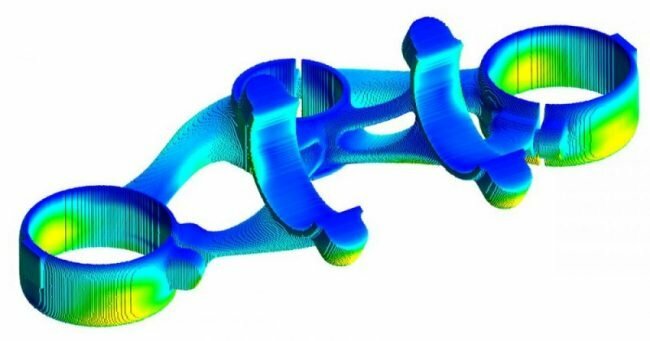 The billion dollar company, famous for its engineering simulation software, has moved into additive manufacturing sphere with its Additive Suite software, a series of metal simulation and advanced design tools. Coupled with a number of strategic acquisitions that include metal simulation company, 3DSIM, and materials company, Granta Design, ANSYS is actively taking steps to expand its simulation capabilities for metal 3D printing. 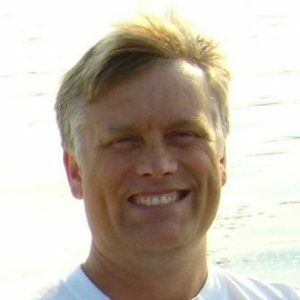 This week, we speak with Dave Conover, ANSYS’ Chief Technologist of Additive Manufacturing, to discuss how the company is helping engineers navigate the world of metal 3D printing, the current state of the metal 3D printing market and how companies can get started with the technology. Could you tell us a bit about ANSYS and the problems you’re solving? 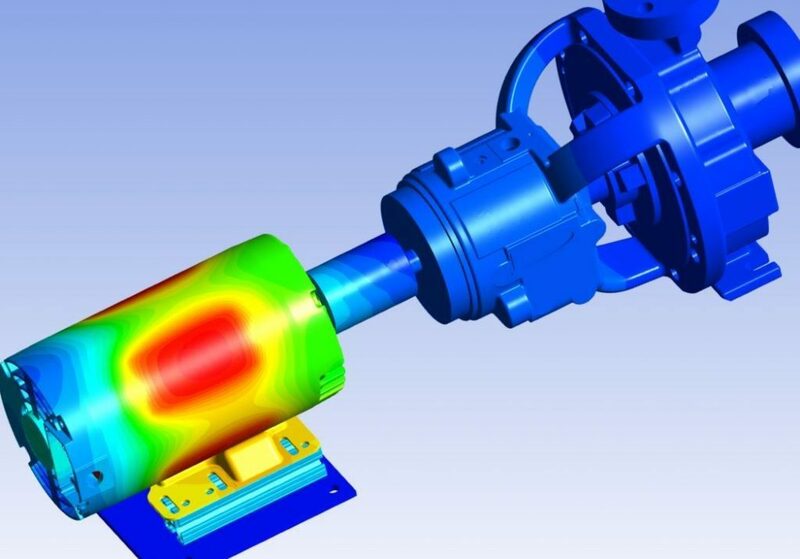 ANSYS is a provider of simulation software for mechanical engineering. Historically, our customers have used our software to simulate how a product is going to work in real life. But with the arrival of additive manufacturing, we saw that there was not only a need to simulate the product and how it will be used, but also to simulate the process itself, due to the nature of the additive manufacturing process. This includes looking at things like part distortion and potential fracture and cracking. So as part of our design continuum, we wanted to explore how to best simulate that additive process. Now we provide tools for additive in terms of process simulation and we’re involved more with the design element as well. This includes designing for the properties of additive, with tools like topology optimisation, which is the process of letting a computer drive the design of a part based on its functional requirements. We also look at things like lattice structures, which you can’t produce any other way than with additive. 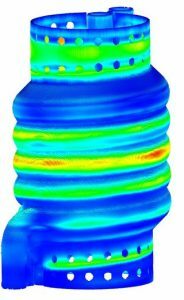 Could you give us a deeper insight into ANSYS’ Additive Suite and how the software works? Of course. In the main, the solutions that we provide are segmented into three areas. The first is developed for the machine operator or design engineer, who needs to use a machine to print a part. They need a tool that can give them a quick insight into the distortion that will be produced in the build and offer ways to account for that distortion — which is referred to as compensation. So the first solution we have is a tool called Additive Print. It’s targeted towards the machine operator who receives an STL file from the design group and whose job it is to get it printed successfully. Second, we also provide tools for the design team, a group that has historically used our products to look at how a part is going to behave in reality. But now we’ve given them the tools to also simulate the process so that they can design a part upfront for additive manufacturing. The third solution we offer is called Additive Science. This is a tool for material scientists and engineers that are designing the process. They need to understand the machines and look at things like which settings are required for a machine to get a good build, so that we have a build that doesn’t have a lot of porosity and has the right microstructure needed to get the performance we want from a part. So those are the three solutions: one for the people designing a part for additive, one for the people running the machines, and finally, one for those trying to figure out the optimal parameters on the machine in order to get a successful build. Are there specific industries that are benefiting most from your simulation software? One early adopter is certainly aerospace. We’ve seen early interest here because of the lightweighting AM offers and the industry’s need to produce these complex, lightweight, multi-functional parts. Biomedical is also another area that has a growing interest in metal AM. But really, interest in metal 3D printing is now branching out to many other industries that are looking at the technology to gain a competitive edge or to reduce the costs of the one-of-a-kind, small-batch products that are being developed today. You mentioned the biomedical sector’s interest in metal AM. How is the biomedical sector using the technology and where does simulation fit into that? The main application area is prosthetics and implants which are typically made from metal. Here, customisation is key. You’re either making one or a small batch of certain sizes that will be patient-specific. With additive, this can be done very easily — it’s simply a case of making a specific design for the implant, prosthetic or other medical device. Of course, the issue that you have with the metal process is that you end up with distortion. The part that’s been designed and the part that comes out of the printer aren’t necessarily one and the same due to the thermal distortions that occur during the build process. Accounting for that and being able to reverse those distortions is important. Simulation ensures that when you design the part and when it’s printed, you can distort it into the shape you want, so that it fits the person’s face or their hip implant or wherever it is needed in a medical procedure. Are there any limitations to existing simulation software — anything the technology can’t do? Well, the actual manufacturing is a very complex process; there’s a lot happening, with lasers hitting these powder particles. It’s difficult to even understand the physics, let alone account for it in the simulation software. So all simulation software today has some level of assumptions built into it that limit the accuracy it can deliver. That’s probably the biggest drawback right now: they can’t be as accurate as you’d like them to be. That said, it’s certainly an evolving field and there’s a ton of research going on to understand the process and be able to come up with methodologies to simulate it more accurately. We’re involved in a lot of research projects all over the world, trying to move this forward in order to get better accuracy. The unique aspect about 3D printing with metals is that you’re making the material as you make the part. It’s very different from any of the other manufacturing processes. So understanding how you control the process parameters to make the material come out as you want it to at the end — with the right fatigue resistance and the right porosity and microstructure — is something we’re working on to allow you to look at that level of detail. How far away would you say we are from that? We’re pretty close. We’ll be coming out in the next year or so with products that will be able to do these kinds of simulation. While we have to do a lot of validation and calibration to be effective, we’re confident that we understand the process well enough to do that. It’s just a matter of taking the time to evolve the software. ANSYS acquired metal simulation company, 3DSIM in 2017. What sparked the desire at the time to delve into additive manufacturing? Quite simply, our customers were diving into the technology. We realised that we had to support them in their efforts: they use our tools to design products and they were now moving to additive manufacturing. They needed the tools to help them design those products with the technology. We also realised early on that they not only needed help to design products, they also needed help understanding the technology and the process itself — things like distortions and residual stress, for example. As we started to explore the opportunity, we knew that we weren’t going to be able to develop a solution organically ourselves any time soon, especially where microstructures are concerned. So we found 3DSIM, a company that had already started to embark in this area. They had developed a lot of great technology, had a great team of people — and it was just a natural fit for us at the time. ANSYS has also recently acquired Granta Design, based in Cambridge. What impact will this have on your AM capabilities? Granta Design is essentially a material information company. You could even say they’re the PLM of material data, as they manage material data for companies. Where we intersect in additive is that there is a lot of data associated with the AM process, like machine settings, for example. ANSYS and Granta Design saw a need to help companies control and understand that volume data. For instance, one area we’ve been collaborating on is the ability to manage the machine settings. This means that when a company goes and does a print simulation, the machine settings they use on their printers can be copied to the database to be downloaded easily and put into the simulation programme. Similarly, with Granta managing the material data, that data can be pulled into the simulation software. This allows you to be sure that you’re using the right, validated material for that company and for that material. So we’re doing the same thing on the additive side — managing that data. Are there other partnerships in the pipeline you’re able to speak about? We’re certainly always looking to build up the ecosystem throughout our products stream. We’re currently focusing on a couple of areas. One is expanding our physics space. We’ve recently bought an optics company, as we move into optic simulation — or light simulation, if you will. It’s a very important area for autonomous vehicles, for instance, which we’re heavily involved in. In the additive space, we’re also working on building that ecosystem. We’re always looking at how our customers are using our products and where their pain points are. From that, we try to see if we can help deliver a solution, whether it’s something we can do organically or through an acquisition or partnership. Going forward, I think there’ll definitely be more to come because with AM, there are so many players and pieces a company needs to put together to really be able to get to an effective manufacturing process. So if we can supply as many of those solutions as possible to make that workflow as simple as possible, then everybody will benefit. What advice would you give a company looking to adopt metal 3D printing? It’s certainly the case that big companies have the resources and the ability to dive into the technology. But it’s a little harder if you’re a small company. That said, there are a few things you could do. One of the first things to figure out is which parts and ideas you can produce that will make commercial sense. A lot of 3D printing service bureaus will have that expertise and can advise and manufacture parts for you. Using these service providers is one way to get your feet wet with the technology. So rather than investing in machines and trying to understand them, which is a huge effort, all you need to do is come up with some designs and have a 3rd party provider print it for you. It’s also important to recognise that you’re not simply going to take a machine, plug it in and start printing away from day one. It’s going to take some time to build up the expertise and understanding of the technology. Certainly, there are a lot of courses you can take, a lot of expertise and consultancies that you can tap into as well. Lastly, it’s also a question of patience. Certainly, the machines are getting better and there’s generally a better understanding in the industry than there was five years ago. Eventually, we want to get to a point where all we have to do is just plug in the machines as you would in a normal manufacturing process. I think we’ll get there with eventually 3D printing, but we’re not there yet. So it will take some time to develop the technology further. How do you see the current status of metal 3D printing? It’s been really interesting to watch it evolve. There was definitely a lot of hype in the beginning — Gartner’s hype curve talks about this, especially with the early adopters jumping in. Then there was the lull phase where the industry recognised that it wouldn’t be as easy as it first appeared to be. But I think we’ve gone through the excitement phase and we’ve gone through the lull phase, now. Expectations are much more realistic and there’s a better understanding of what can be done with additive and how fast you can adopt it. I think now we’re seeing an upsurge: in the coming years, I expect the sales of metal 3D printers to continue to climb, perhaps not as aggressively as they did in the first year or two. But we’ll see adoption steadily improve throughout all industries, not just the early adopters, like aerospace and medical. In other words, we’re definitely over the hump. What challenges do you think still need to be solved to accelerate the adoption of the technology? There are so many little pieces. I mentioned that the machines and the technology behind the machines still need to mature. Another piece is understanding the workflow and getting that down to a regimented process that outlines how we go from design to production and post-processing. But fully understanding that will take a little more time. Then there’s the question of post-processing. Factors like how do we heat treat these parts and when do we heat treat them? There’s a lot of work being done in this area right now, as even these things are taking some time to evolve and understand. Ultimately, the entire AM ecosystem is fragmented: there are a lot of little solutions and companies that you have to cobble together to create a workflow and end-to-end solution. That consolidation will have to continue. I think that will make things easier, especially for a company that doesn’t have the ability to buy a whole bunch of different software and hardware to get an end-to-end solution. I’d finish by saying that we’re on a journey with additive. We’re not quite there yet: the machines aren’t there yet, understanding of the whole process isn’t there yet. But what’s exciting is that we are getting there, gradually. At ANSYS, we’re working with customers and vendors and developing research initiatives to further that along. We plan to continue evolving our tools to make them better. And we hope to reach the point where we know exactly how to design and build for additive manufacturing — where it’ll become a no-brainer process like machining is today.